With his back to the wall and only 3 months to live, Lester was forced to search for the answers to life. Lester decided to ask himself, "What is it that we all want?" The answer he came up with is, "We all want to be happy!" Having discovered what he did, Lester was healed and went on teaching what he learned for another 40 years. 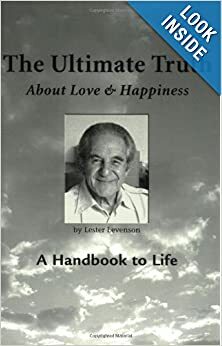 This wonderful book of aphorisms on love and happiness capture the spirit and wisdom of Lester's message. Indeed, it is truly a handbook to life. Lester discovered something else - every aspect of his live fot better, too. A short time later he became a millionaire! See your doctor and make sure your Dr. agrees with and give consent to anything and everything you may read here, in this book, from Lazaro Angelus Lanza, in A Course in Life, or anything or anyone associated thereto in any way.